The Tug Le Cheval Rouge towing the Tug Nathan E Stewart and Barge DBL-55 on 12/19/2011. Photo Credit: US Coast Guard. 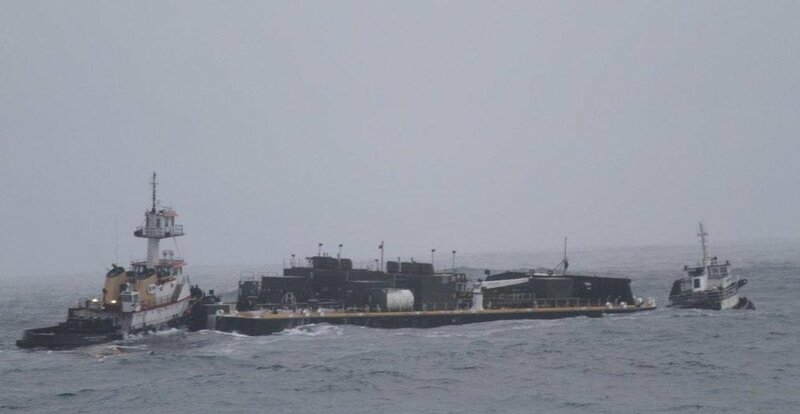 The Transportation Safety Board of Canada’s (TSB) recently-released investigation report into the October 2016 grounding and sinking of the American tug Nathan E. Stewart near Bella Bella, British Columbia cites fatigue as the main factor contributing to the incident. Of course, the issue of fatigue among shipmasters and crewmen is not a new one. According to Fatigue & Maritime Operations, many notorious maritime accidents, including the grounding of the Exxon Valdez in Alaska’s Prince Edward Sound in March 1989, have been caused by fatigue. The adoption of hours of work and rest regulations, and the development of codes and guidelines in recent years have helped to mitigate the risk. However, the latest findings by Canadian safety officials further underline the need to effectively and reliably manage the risk of fatigue in the maritime industry. Excerpted from the Transportation Safety Board of Canada (TSB) news release. According to the 2016 Project Martha study conducted by InterManager, the increasing level of fatigue among mariners is closely related to the stress and intellectual challenges inherent in their profession, particularly among masters and watchkeepers. Shipping, like other transportation industries – rail, aviation, commercial road transport – is a 24-hour, 7 days a week operation, meaning seafarers typically have to work long hours across long periods of time. Furthermore, the operational aspects of shipping, such as trading patterns, length of sea passage, port-rotation, and the brief time ships remain in port leave little or no time for mariners to get recuperative rest. Crewmembers in the Project Martha study said that top factors contributing to fatigue were job security and demands, irregular work hours, harsh environmental issues, poor sleep quality, lack of rest hours, as well as keeping pace with new technology and regulations on board. Poor eating habits, imperfect sleeping conditions, social isolation, and working and living away from home for many months at a time with no clear separation between work and recreation, also increases the potential for fatigue. When fatigued, most aspects of human performance suffer including judgment/decision making, thinking and information processing, memory, reaction time and concentration. Extreme fatigue can cause an uncontrolled and involuntary shutdown of the brain. This means, regardless of motivation, experience or skill, a fatigued person can lapse into sleep at any time, even at the wheel of a ship, putting the lives of everyone onboard, millions of dollars of company assets, and the environment in serious jeopardy. As a result, all mariners need to be aware of how to protect themselves, both physically and mentally, to avoid fatigue. Poor judgment of distance, speed, time, etc. Try to get long periods of uninterrupted sleep, especially before you expect long hours (7 to 9 hours of sleep is typically needed to ensure adequate rest). Take strategic naps between work periods. Develop and maintain good sleep habits, such as a pre-sleep routine to help you feel ready to sleep. Monitor and balance your hours of work and rest. Eat regular, well-balanced meals (including lots of fruits and vegetables). Avoid refined sugars (sweets, cookies, chocolates, etc.) and the yo-yo effect they have on your blood sugar levels. Avoid alcohol, caffeine and over-the-counter medications that cause sleepiness. Consider relaxation techniques such as meditation and yoga. Where possible, rotate your tasks to mix heavy and lighter duties. Safety at sea is seriously compromised by fatigue, with often catastrophic consequences. 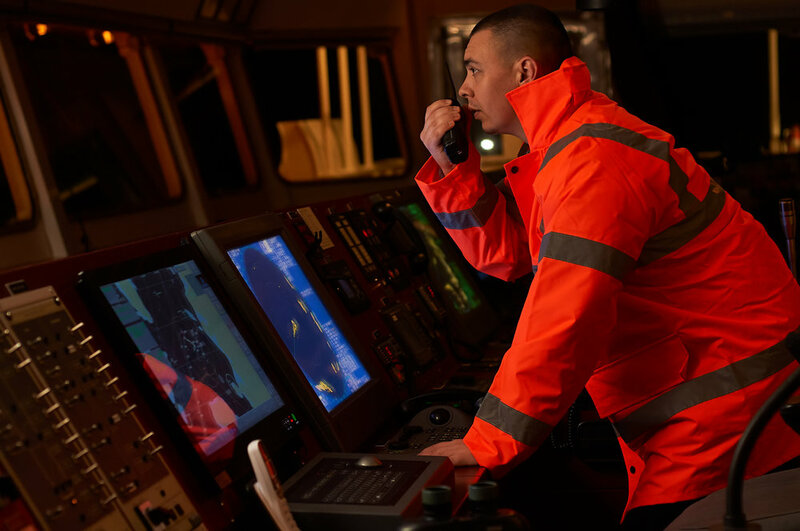 By understanding the causes and effects of fatigue on human performance, and taking steps to help prevent fatigue, you can make a significant contribution toward improving maritime safety for everyone. Since 1935, MOPS has protected the licenses and livelihoods of more than 80,000 deck and engineering officers, state and federal pilots and certified tankermen. We cover USCG licensed officers operating aboard vessels of any size in every sector of the maritime industry. If you want a quote, give us a ring at 800-782-8902, ext. 3608 or 3302. Or fill out our online form and we'll email you a quote. Is Your Marine License Insured? Get a Quote Now. A Few Good Men…And Women! The industry's most comprehensive Marine license defense coverage.